Here are my favourite romantic films. They are responsible for my rose-tinted glasses when it comes to love and relationships and for my probably unrealistic wish for a fairytale ending but hopefully they will make you smile and cry and feel very loved up today whether you’re single or not. Enjoy! A Walk to Remember is about a bad boy who falls for a good girl who changes his outlook on love and life. Cute, romantic and sad – make sure you have the tissues ready. It might be cheesy but I fall for it every time. You’ve got Mail stars Meg Ryan and Tom Hanks who fall in love online but don’t hit it off in real life. You root for them right up until the end in this cosy rom com. I think I’ve watched it a hundred times. Dirty Dancing is one of my favourite films – it’s very corny but very romantic. Nobody puts Baby in the corner! And no girl can watch this without wanting to do the end dance. Pride and Prejudice – technically this was a BBC series but I couldn’t include my favourite adaptation of my favourite book. I’m in love with Mr Darcy, I can’t lie and his love story with Elizabeth Bennet will always melt my heart. And you get to look at the gorgeous Colin Firth in this version. 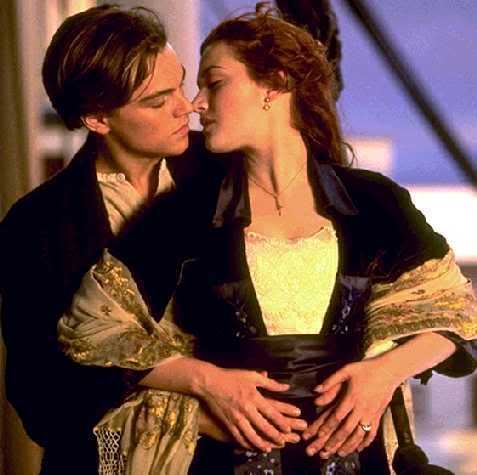 Titanic is an epic love story. It bowled me over when I first saw it. It’s not a regular watch for me but it’s a timeless story that stays with you long after. It had to be included on the list! The Notebook is another soaring romance with a heartbreaking end. I cannot watch this without crying so I cry to avoid it but there’s no doubting that this is a love story that leaves you breathless. The Twilight series – love it or hate it this love story about a human girl who falls for a vampire sucked (get it?!) me in completely when I read it and the films do a great job of capturing their romance. 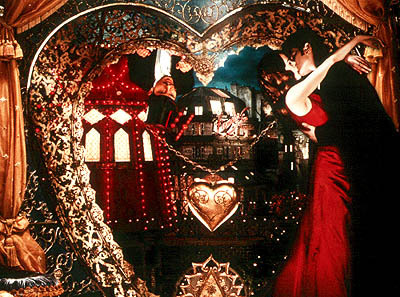 Moulin Rouge is a romantic musical feast. It’s beautiful and tragic and the love song medley is genius. 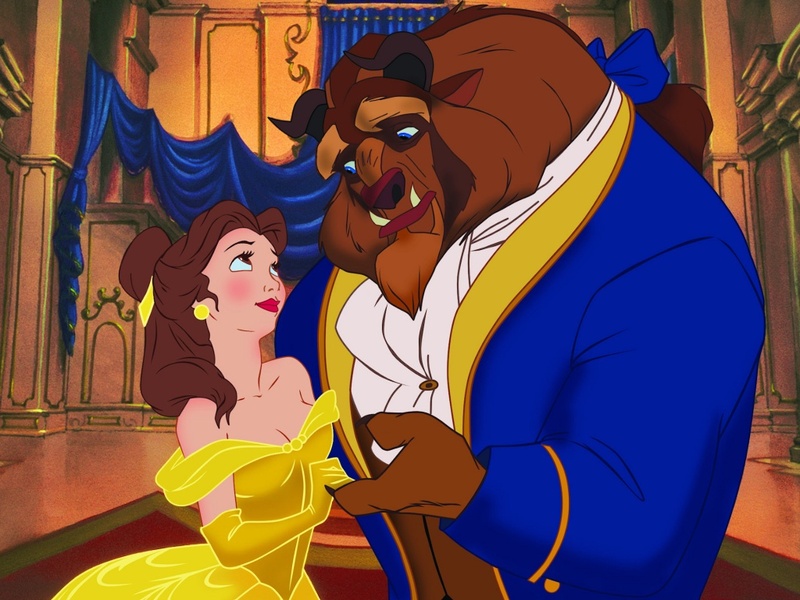 Beauty and the Beast may be an animated film but it’s pure romance. Remember the ballroom scene? Exactly. An Affair to Remember is an old-fashioned romance that twists and turns through heartbreak but ultimately makes you all warm and fuzzy. It also kick started the trend of meeting on top of the Empire State building (see Sleepless in Seattle). What’s your favourite romantic films? Byronic Man just wrote a post about Valley Girl, which is my all-time favorite teen movie. So, I’m going to put it down as one of my favorite romantic films. Your list included many I like, too. Not heard of thta one, I’ll have to check it out! The most recent one is “The Holiday.” Loved that movie! I really like that one too, love Christmassy films! Good choices Nancy! Not seen Top Gun for years! At first I thought…gee, I really don’t think I’m a “romantic” film kind of person. But you just reminded me of Ghost…though I liked the movie more vs. the romance. I guess others that would qualify would be: Dirty Dancing, lots of Disney movies (Shrek? ha…those kinds maybe…just saw “Tangled” and it was cute). I know there are a few in my mind but I can’t think of them right now…like I LOVED Robin Hood (the version of Kevin Costner) when I was younger…so so nice the romance btw robin hood and lady miriam…and then there’s My Big Fat Greek Wedding…simple and cute. When I think of romantic movies the first one that comes to mind is ‘Ghost’. when that came out everybody was crying over it. Reading your comments above, I liked Valley Girl too, but only because the rocker got the girl in the end. Nicholas Cage made it big after that movie. Deborah Foreman not so much. Happy belated Valentines Day Ms. Vix! I hope you had a nice one! Thanks Bonnie! I think I should see City of Angels, heard lots of good things! I completely agree with your list! Excellent choices. There’s only one that I would add and thats Ever After. It has Drew Barrymore in, one of her earlier roles. I absolutely love that film (it’s kind of like a more realistic version of Cinderella) and it never fails to spark the romantic in me! Thanks Becky! Ooh I’ve seen bits of that but not the whole thing. I love Drew though! Does Ghost count? I’m not much of a lover of romantic stuff, but this movie gets me every time! I love every film on your list and have watched them all multiple times, owning many too. I have to say I’m most impressed with your number one choice of An Affair to Remember. That was the first movie I ever cried at and I love it. I’m a total sucker for Cary Grant films, but this one is phenomenal. Hehe great post Jess! You gotta have a bit of romance sometimes sigh …. Oh lovely my friend. I love a good romance. 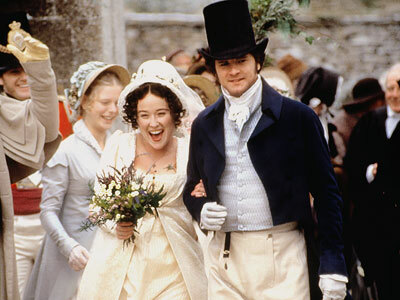 Pride and Prejudice is fantastic, where is our Mr. Darcy? And as soon as I see Patrick Swayze in a black tank top all I can think of is that line. Too funny. Oh and any Cary Grant is a win in my book. Sigh, he was dashing and debonaire. Wow, I haven’t seen most of the movies on this list, looks like I have to get my romantic on! Sabrina (the version with Audrey Hepburn) is also a fave. Yay it’s a lovely story! Bridges of Madison County, my guilty pleasure. I also like Beauty and the Best. Never watched An Affair to Remember. Gonna have to watch that soon. Thanks for followng me! Love Actually is one of my favourites too!